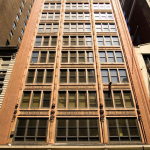 Jay Suites announced the signing of a 17-year, triple net lease at 15 West 38th Street today, representing the newest addition to our portfolio of shared New York City office and coworking spaces. 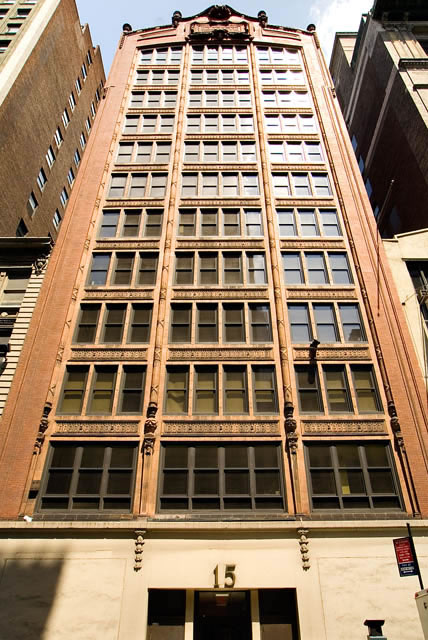 Located in the heart of the city’s Garment District, the 12-story office tower was formerly occupied by the Hudson Bay Companies of Lord & Taylor and Saks Fifth Avenue. Upon its grand opening, Jay Suites will add 90,000 square feet to our Manhattan footprint, with 8 coworking properties situated throughout the city. We expect to have 5,000 members, factoring in the new location. 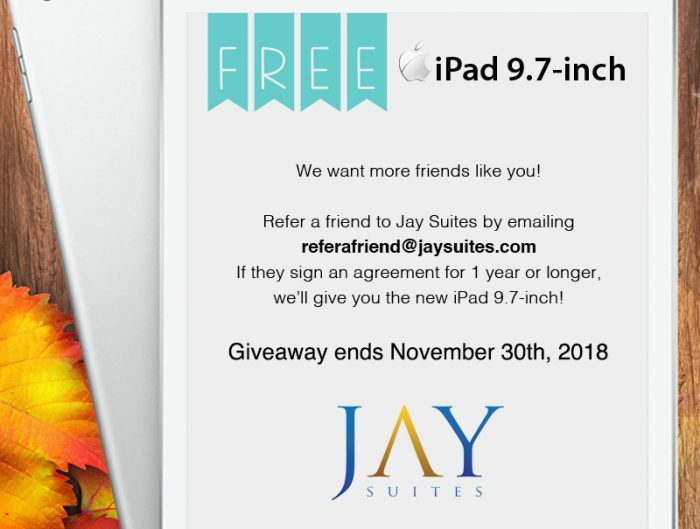 “This deal—with its below-market rent, location and footprint—will let Jay Suites offer its core private luxury office spaces with a full suite of amenities as well as flexible larger team and conference rooms to New York City companies for excellent value,” Jack Srour, the co-founder and COO of Jay Suites, said in a prepared statement. “The deal also benefits Hudson’s Bay Company as its need for underutilized space shifts.” The new building will incorporate the existing coworking concept of Jay Suites while introducing branding innovations such as Jay Cafe, Jay Conference and Jay Rooftop. The fully-customizable meeting and event space will come complete with exclusive amenities and a host of community perks. 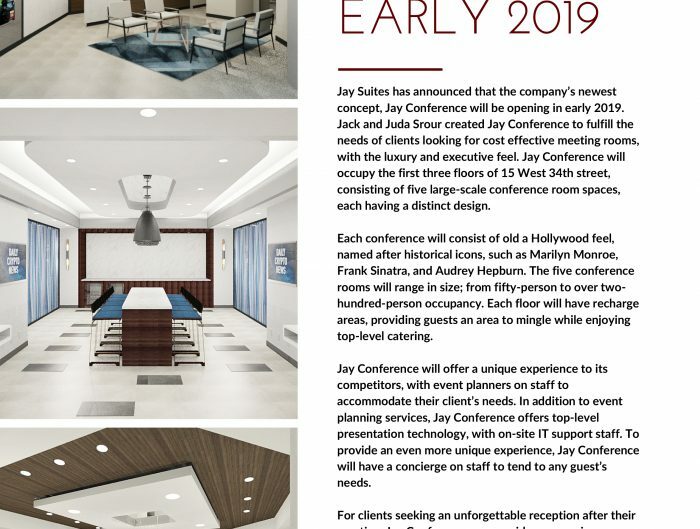 Jay Suites evolution from temporary office space to dedicated large conference and event space was only a matter of time. Jay Suites Fifth Avenue at 15 West 38th Street will provide a variety of professional services and shared amenities. The new Jay Cafe will offer an elegant espresso bar with flavored coffees, teas and pastries for members to meet and eat on the retail level for easy accessibility. The first 3 floors will comprise of a 22,000 square foot Jay Conference center featuring the latest in presentation technology. A total of 5 soundproof conference rooms (capacity of 200) will come fully-equipped with large screen TVs, polycom conference phones and unlimited high-speed wifi access. The modular tables with built-in ports for charging, USB, and HDMI inputs, can easily be rearranged to accommodate needs for theatre, reception or pod-style setup upon request. The on-demand meeting room rentals will also include on-site professional administrative and IT support. In addition to 7 floors of fully-furnished offices and shared workspaces, Jay Suites will introduce the largest corporate event space we have to offer. The exclusive Jay Rooftop terrace can host everything from company happy hours to product launches. Jay Rooftop will serve as the perfect New York City venue with stunning views of the Manhattan skyline, starting from minimum groups of 50 and maxing out at 250 guests. Our on-site event planners will assist in coordinating corporate events from beginning to end. 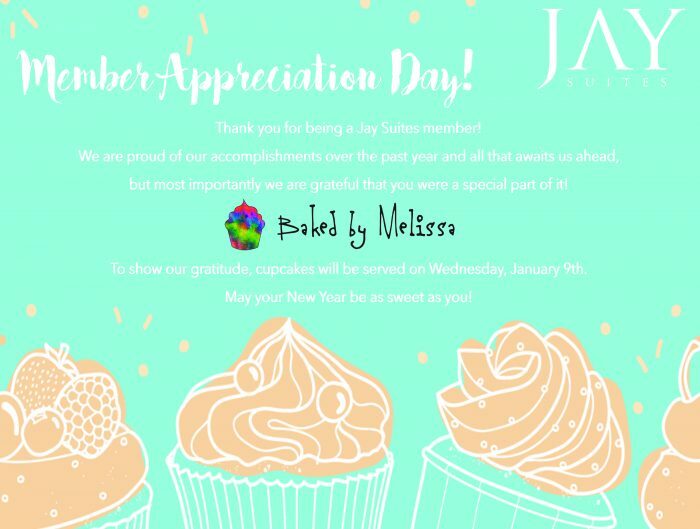 This will mark the third event space the Jay Suites brand has to offer, the others being at their 34th Street and Times Square locations respectively. Jay Suites continues to improve the workplace experience for their members with appealing amenities and unparalleled hospitality. Location is an important factor when choosing office, meeting and event space, so being just minutes away from public transit makes Jay Suites Fifth Avenue an easy choice for tri-state commuters. One tour of the new location and it’s clear, this isn’t your typical coworking space. For more information, call (212) 569-9000 today!